Can you become a locksmith in 5 days? It is proven that after completing our 3 or 5 day locksmith training courses, our students have gone on to form very successful locksmithing companies. We see the progress and success of the students that have trained with us as they become a trade customer of our sister company. Only three years later, my wife and I have worked incredibly hard to acquire work with strong companies and have secured our business, seeing it grow year-on-year to its current stage of having an additional three contractors working for us. I almost destroyed by the blows of life when he maxed out his credit card to take the locksmith course with MPL. Training with MPL, Mehmet acquired a new lifelong skill, accredited by City & Guilds, along with a newly found motivation to succeed. I have supported these contractors in also turning their lives around as I have turned my life around. E&E Locksmiths London Ltd were able to provide the startup capital to support contractors in starting their own business including van and tool purchase, relocation and locksmith training. Having worked for a high street cobbler since leaving school I developed my skills to an advanced level in most areas covered by the company such as shoe,watch and phone repairs, engraving and key cutting. I was always interested in the locksmithing side and showed an interest to develop in that area also with the company. The chance never came with my employer which gave me the idea and desire to become a locksmith and hopefully also own my own shop offering cobbler services as well as a locksmith service. I looked at my options and all that I would need in order to follow this through. I finally took the plunge handed my notice in at work whilst I was still living at home with my parents and put the challenge to follow my goal of becoming a locksmith. In the outset I came across a number of training providers all offering different courses with different accreditations. I was fully aware that the industry is not regulated but wanted the best certification I could possibly get at the end of my training. 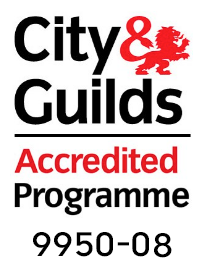 I contacted MPL Locksmith Training who were extremely helpful and informative, I was impressed with the City & Guilds and Corgi Fenestration accreditations they offered too on completion of the course. I visited the training centre at MPL before making any commitment. I was very impressed by the set up and even got to see a course in action. I knew this was right for me and booked the course. I attended the 5 day course and was not disappointed. It was so hands on, I learnt a lot which gave me the confidence to go live straight away. I followed all MPL’s business and marketing advice that they give whilst on the course and signed up to the national companies they put their students in contact with for sub contract work. I started receiving insurance repair work straight away which was great that I was earning the following week. It went from strength to strength from there, I have managed to get on board with quite a few letting agents as well as the national companies I signed up with I am also doing warrants that MPL have been instrumental getting in for me. I completed my training in October 2017, the locksmith work increased as well as my experience as the weeks went on with the more inroads I found as well as marketing the private customer side of things. In February 2019 I was proud to have also reached my goal of opening my own shop in my local town. I am now in a position to employ a member of staff too as my business grows. Becoming a locksmith has been the best choice I ever made, It put me in a position financially to fulfill my ambition of being able to open my own shop. I have great reviews from my customers regarding the services I offer across the board and I am now looking forward to taking the business to the next level. I had a previous career in property renovations which had become all consuming and very stressful. I am now very busy both as a general locksmith and fitting van locks. My wife is now a part time employee taking care of admin and in April I’ll be employing a fabricator friend of mine to come onboard fitting van locks at our premises. This has now developed into a second business HD Van Locks. I trained at MPL with a view to getting into a less stressful career so I could spend more quality time with my wife and four daughters. Based in Huddersfield and Trading as HD Locksmiths, this trade really is everything I had hoped for. Two years ago after having my own van broken into and not happy with the fit of the van deadlocks I paid to have fitted, I decided to offer the service myself. Thanks to everyone at MPL for the training provided. Since doing my training, I have gone on to start Security First Locksmiths, based in Eggborough, and even in these early stages have found a good rate of development and success. I opted to do The advanced Locksmith Course, Automotive Locksmith Course, Boarding-Up and Access Control Course. My thoughts were, the more strings to my bow the better and I have since been proven right! It's great to know that I have my own business growing by the day and to know that I am not on my own in this endeavour. After ten years in the RAF Regiment and subsequent civilian employment as a communications engineer I was looking for a new challenge. Having always wanted to serve in a trade with its roots in antiquity yet something that was still crucial in the modern environment, being a Locksmith covered this criteria – Ancient techniques still used today combined with modern technology and design, in a world where the needs for ever evolving security are more prominent than ever. So with this in mind I decided to take the plunge and train with MPL. The training was brilliantly done, from the instructing to the after support. All the staff have been thoroughly helpful and not once have I been made to feel like my questions are daft (even if some, I’m sure, were completely ridiculous). The key to success is knowing that your training doesn’t stop once you receive your certificate at the end of your course, but, just as with driving, taking that knowledge and putting your new found skills to practice is where the real learning starts. The great thing about MPL is that they understand this and as such provide 24 hour support for Locksmiths who trained with them. They know that you are going to be wrangling to get business from every house, business, and person you can and they have advice to cover the lot. From the mechanisms and entry to business management and marketing. It’s great to know that I have my own business growing by the day and to know that I am not on my own in this endeavour. Within a month of ‘graduating’ I’d already earnt what I’d paid for the course and within two months I was fully up and running with a viable business and all of my tools and hardware paid for. I opted to do the MPL locksmith training course which was a risk but one of the best decisions I’ve made in my life. The course was thorough and very empowering. It gave me all of the skills and knowledge to deal with virtually any kind of lock and I’ve regularly ‘topped up’ my skills on MPL’s additional range of locksmith courses. Seven years on and I’m doing just fine. Being self employed I can find more valuable time to spend with my young family and I’ve been able to start on a project refurbishing an old fishing boat at Stanley Marina. I’ve got control over my life and my time with the MPL course giving me the keys to unlock a fantastic new career,” concluded Shane. I found the course very informative, the tutor Graham shared his wealth of experience and knowledge with us and enabled me to complete the qualification and learn how to become a locksmith and expand my business, which now includes a number of apprentices. In 2011 I was fortunate enough to secure a job at the steel works in Redcar when it re-opened under SSI UK. I couldn’t wait to start work as a production operative on Concast and be part of the steel industry. This all changed at the beginning of October 2015 when I received the call not to attend work and the news and social media informed me that my days as a steel worker were over as it was for 2000 others. I had to decide what to do next and although I knew I would go back to my trade and install windows and doors I wanted to add an extra service for customers and decided to become a locksmith. I researched into what training was available and decided to use MPL in Wakefield due to the good reviews on their website and the qualification they offered which was NCFE level 3. I would recommend this training to anyone, all at MPL were very approachable and friendly happy to offer advice and guidance if needed especially Nicky, if I come across a problem now I know advice is just a call away, there was four of us on the course and we have remained in contact and speak regular with each other, and I now use MPL as my suppliers for locks and tools. This was a big change in career for me, abit different from TV (Storage Hunters) but I’ve got to say it was well worth doing. They offered support throughout my time on the course. MPL cover most things on locksmithing and when I left I was confident going live that day. They offered support and great work leads, I definitely would recommend them. I ring mark on things I’ve not seen and we work though it, which that in it self is worth its weight in gold. Work is good. And how is MPL different from other training providers out there? Here at MPL Locksmith Training, we strive to offer a comprehensive range of locksmith training courses, all of which. are approved by NCFE. Whether you are looking to change career and set up as a locksmith and require the skills and training to do so or are an experienced locksmith who would like to further your current skills. Want some advice on taking that first step? Call us today on 01924 693 293 or fill out the form to the right and one of our expert team will get back to you. May we contact you in future with Information on our services? Why choose MPL to kickstart your new career? Our course prices include free accommodation, breakfast, lunch and parking. No added extras!